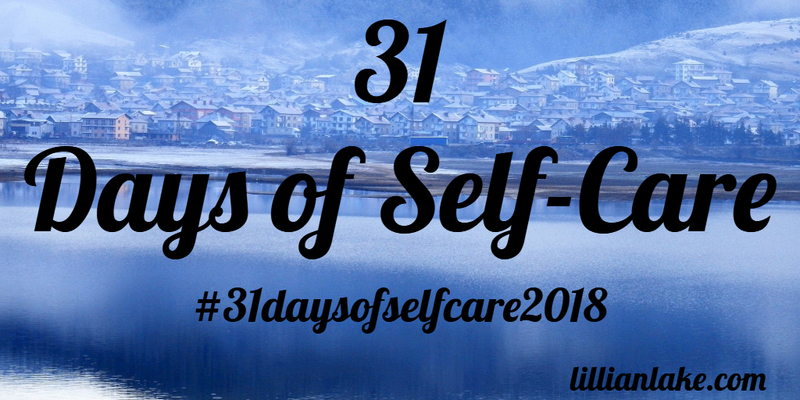 31 Days of Self-Care 2018 is Here! Welcome to 31 Days of Self-Care! I was inspired to put this campaign together for us when I was talking with a group of caregivers. As a caregiver many times over, I related to the comments addressing all of the ways caregivers take care of their parents, offspring, friends, relatives, and a myriad of other ways we all act as caregivers. When it comes to self-care however, most of us are woefully lacking. 2018 is set to be a year of positive change! Transformation! Leaving behind “stuff” Stuff that no longer serves us. A fresh start. Of course, every day offers a fresh start, but a new year, a new “you” always seems particularly energizing. Each day we can build on things we’ve learned from previous days. We should remind ourselves of what works and what doesn’t or hasn’t worked. We don’t have to “throw out the baby with the bathwater”. Over the years we’ve learned many lessons. That represents a wealth of knowledge and work. I know managing to get through some days can seem like a remarkable feat. But guess what?! We’re still here! And that’s a good thing. So let’s move forward. Let’s change what needs changing and build on our successes! When we care for ourselves, we take better care of each other! I have provided a calendar and pages for notetaking to download. I left the calendar blank so you can pop in a few words that will jog your memory. The posts will be permanent on my website. They correlate with the self-care tip for the day so you’ll know what to search on my website when you want to come back to that post. I strongly suggest using this time to begin journaling, renew journaling, or adding what thoughts come to you during #31daysofselfcare2018 campaign. A plain notebook works. Maybe you have a favorite blank book. (I have many journals to keep notes about different things I’m working on.) Even a napkin works to jot down a note here and there. You will want to review your thoughts long after #31daysofselfcare2018ays of January 2018 has been put into history. When I look back, I often think “I wrote that? !” and find I’m more ahead than I first thought! Each day I will post a meme on Instagram, Twitter and Facebook with a link to my website for a blog post of the day under the tab caregiving. I’ll post links to helpful supplemental articles like this one. It will help all of us to leave comments, tips, suggestions, and to let everyone know how we’re doing! Togetherness will make the next 31 days all the more fun, encouraging, and inspiring! That’s all there is to it! It’s all FREE! Have fun and drop me a note to let me know how it’s going or with questions! Ready?! Of course, we are! Let’s do this!